On Saturday October 21, Mayor of Athlone, Aengus O’Rourke, will be unveiling a plaque at 3.30 pm in John Count McCormack Square to commemorate the veterans of the siege of Jadotville. Jadotville Day has been adopted as October 25 by the Veterans of the Defence Forces. This is the date that the men of A Company, 35th Infantry Batallion were released from captivity following their heroic actions at Jadotville in 1961. The day will be observed annually, alternating between Dublin and Athlone. 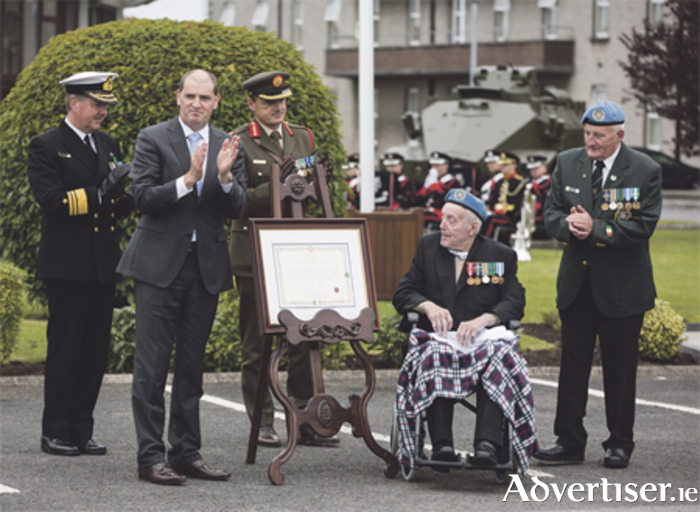 This year, Jadotville Day will be celebrated on Saturday, October 21 in Athlone. A parade of honour, made up of Defence Forces veterans of all services, will march to John Count McCormack Square where the plaques will be unveiled. The unveiling will be followed by a wreath laying ceremony.